One of the growing epidemics in hair care is hair loss which is also known as alopecia. There are many cosmetic products that claim to help but SHOW ME THE DATA™?! That is why I was EXTREMELY critical when a representative came to me saying that Monat was helping people to regrow their hair. I was thinking, “Yeah, right! Here’s yet another company selling products trying to convince us that they have the latest and greatest formulation in an endless sea of brands that are already out there.” So, I politely told the representative that while most people are won-over with testimonials and before-and-after pictures, I’m all about the data. I asked her to come back to me when the company had clinical studies that showed it worked. Well, to my surprise, eight months later she presented the clinical report and that convinced me enough to buy the product and check things out for myself. Some family members who had areas of sparse hair used it so now their hair is fuller! 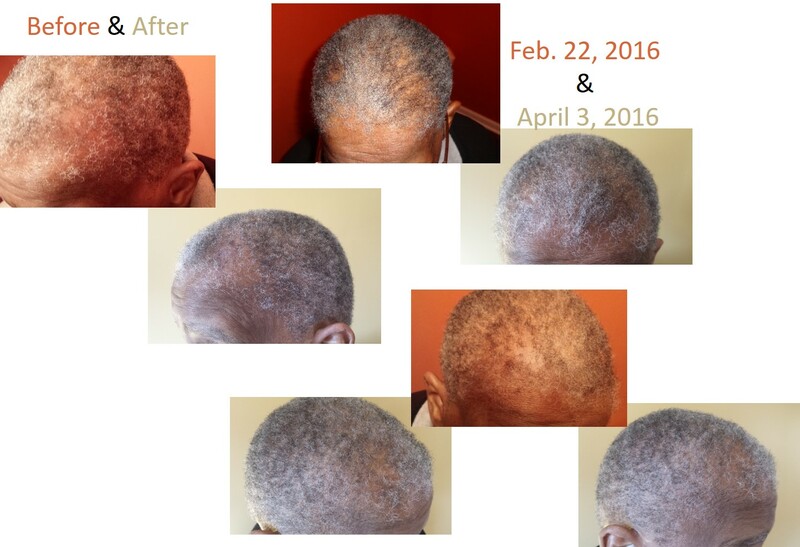 (see below) I was even told by my stylist that hair along my nape has filled in since I’ve started using Monat. I noticed my hair is much easier to detangle and manipulate compared to the best high-end product that I was using before. I used the Monat Balance System to transition from relaxed to natural hair and did not experience the same breakage as when I transitioned back in 2003. So, there was no need to “Big Chop”. My hair has more shine and Monat does not weigh my hair down. Monat is a botanically-based product line and is ideal for me since I made a conscious lifestyle decision to purchase non-toxic products. A little goes a long way so the products lasts a long time. Thus, I’m not paying any more than I was prior to using Monat. The products work for women and men. The product helps to block the production of dihydrotestosterone (DHT), a hormone that has been shown to contribute to hair loss. So, if you stop using the product, DHT can build back up and your hair can become diffuse again. 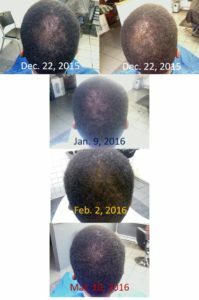 The products are not FDA approved so as a cosmetics company, Monat cannot come out and say that their products regrow hair; however, clinical studies show that it reduces factors that leads to hair loss and helps to prevent breakage. Also, it contains effective botanicals that nourish the scalp which leaves it in an optimal condition to regrow hair. Just like any product or drug, there have been instances where people don’t notice a difference. But unlike most companies, at least you get a chance to get your money back. If you have any questions or want to learn more, feel free to call me at 630-225-7462. *Because of what I’ve seen, I am a market partner for Monat. Click here to learn more or to order.